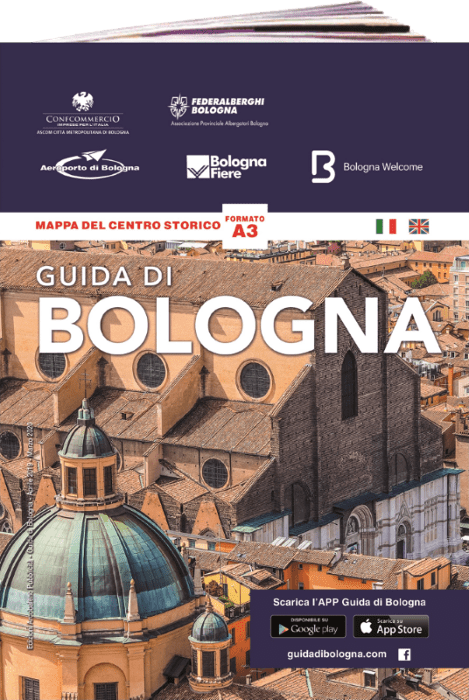 Every week the Civic Museums of Bologna propose a rich calendar of events, to unveil their collections and tell new and unusual aspects and episodes of the city’s history, also through different points of view and unusual combinations between the different collections. Conferences, workshops, concerts, guided tours, language visits are the main “tools” of this story, which unfolds over thousands of years of history, from the first stone tools of men who lived 800,000 years ago to the products of the current industrial district, from painting to the various forms of modern and contemporary art, from music to great political and civil epics. Following are the appointments scheduled from Friday 30 November to Thursday 6 December. Inauguration of the exhibition, realized by the Civic Museums of Ancient Art in collaboration with the Civic Museums of Genoa and curated by Mark Gregory D’Apuzzo, Simonetta Maione and Giulio Sommariva, with the contribution of Fernando and Gioa Lanzi. Guided tour of the exhibition organized by the Educational Services Institution Bologna Musei. With Angela Lezzi. Meeting with Luca Stante, CEO of Believe Digital. A meeting on the world of distribution, to explain how to get the record from the recording studio to the fans and to deepen the transformation of the world of distribution with the advent of digital. “Il Mercato della Musica” is a series of meetings organized by the Music Office of the Municipality of Bologna in collaboration with Bologna Welcome, with the aim of developing musical entrepreneurship and strengthening managerial and managerial skills. The whole journey is a journey and a guide within the music market, through the understanding of the professional figures who inhabit such a complex environment and the activities necessary to create and manage a project. Presentation of the book by Massimo Cultraro, Ed. History and social studies, in collaboration with the Biblioteca dell’Archiginnasio, custodian of precious Schliemann manuscripts. On the occasion of the presentation of the volume, exhibits from Troy donated by Schliemann to the Museo Civico Archeologico of Bologna will be exhibited in the room. In 1858 Heinrich Schliemann (1822 · 1890) made his first trip to Italy as a tourist and a businessman. It is not yet the famous character that the world will celebrate as the discoverer of Troy. He will return in the following years, traveling throughout the peninsula, from Emilia to Sicily and Sardinia, strong in the glory that the scientific environment gave him and with the immense wealth accumulated thanks to profitable commercial activities in Russia and the United States. What was the relationship between the German scholar and Italy? What are your contacts with national academic circles, but also with personalities from the world of politics and culture? The book reconstructs, through the study of the personal letters and diaries kept in the Schliemann Fund of the Gennadius Library of Athens, together with other Italian archival sources presented for the first time, the thirtieth system of relations between the discoverer of Troy and Italy. A month after the Turin festival, Nesxt tells its third edition in the form of a report but above all a comparison between the protagonists. An open meeting to give voice to experiences, critical issues and ideas that will constitute the true legacy of the festival and instructions for the use of the next edition. Some protagonists will intervene between the scientific committee, the organizers and the spaces involved. The talk will also be an opportunity to present the Observatory, born as a fundamental part of the Nesxt platform compared to the historical deepening of the independent scene for a contextualization of the contemporary scene. Will follow interventions of spaces and figures that operate in Bologna and that are part of Nesxt, to reflect in general on how certain practices and spaces are moving beyond the Festival time. Speakers: for NESXT Lorenzo Balbi, Serena Carbone, Pietro Gaglianò, Olga Gambari, Annalisa Russo; for Fat Studio Alessandro Brighetti; for Novella Guerra in / out, A + M + S (Annalisa Cattani, Maura Banfo, Susanna Ravelli); for Adjacency, Amerigo Mariotti; for MACbo, Davide da Pieve. By popular demand, MAMbo re-proposes the Thursday appointment dedicated to ten works, ten artists, ten years: thirty minutes to tell a work of the exhibition “That’s IT!”. Ten engrossing meetings to relive the atmosphere of the fabulous’ 80s. Each appointment will be dedicated to an artist present in the exhibition whose year of birth becomes a pretext to retrace or learn about the events, the images, the protagonists, the fashions, the HIT of the period. Whoever was there will remember him, who was not there … he will find out. For children 12 and older and adults. By the MAMbo Educational Department. And if you keep the admission ticket, at the following appointments you pay only the cost of the guided tour. Reservations required by 13.00 to 051 6496627 (Wednesday from 10 to 17 and Thursday from 13 to 17) or mamboedu@comune.bologna.it . The exhibition project, curated by Giulia Pezzoli, is the final phase of the residency period that the duo of artists of Franco-Egyptian origin Dina Danish & Jean-Baptiste Maitre performed in Bologna as part of the 2018/2019 program of ROSE Residence promoted by MAMbo – Museum of Modern Art of Bologna, aimed at promoting the international mobility of emerging artists and enhancing the most current expressions in the field of visual arts. Danish & Maitre – a couple in life and art – have spent a total of six weeks in the Residence for Artists Sandra Natali, the multi-purpose venue that MAMbo makes available to young international artists to offer a space for comparison and experimentation, in order to support research and promote professional growth through the residence methodology adopted by major European training centers. During this period, the artists had the opportunity to develop a work plan aimed at creating an unpublished exhibition project, specifically designed for the rooms of Villa delle Rose, and the related publication published by Edizioni MAMbo. The exhibition consists of 28 works, including a selection of recent works referring to the autonomous practices of the two artists and 14 new productions made as a collective during the period of residence in Bologna. The entire exhibition project is conceived in close connection with the Villa delle Rose space and its structural features. In particular, Danish & Maitre were inspired by the symmetrical configuration of the first three rooms of the two floors of the building, identical in size and position, to develop an exhibition entirely based on dialectical and mirror-like counterpoints in which the works on the ground floor reverberate in those of the first and vice versa. The door of Casa Morandi opens to the meeting with the photography of Umberto Bonfini for the exhibition project curated by Claudio Spottl. A dialogue between the atmospheric atmosphere of the house-atelier in which Giorgio Morandi lived and worked for long decades until his death and a selection of images taken from the photographic archive left by Umberto Bonfini, a doctor led to Grizzana, who re-establishes a closeness between two figures united by a friendly acquaintance and an affinity of thought. Born in Pisa in 1918, Umberto Bonfini arrived in Grizzana at the end of the forties to practice his profession as a surgeon. In the country of the Apennines of Bologna he met Giorgio Morandi, and later became a great admirer. Later he moved to Lagaro, a small town adjacent to Grizzana, where he continued to practice as a doctor and remained until his death on 10 August 1980. His acquaintances with Giorgio Morandi brought Bonfini closer to his painting, causing him to paint several canvases under his influence. But Morandi’s art proves to be propaedeutic, above all, of what will become his real artistic figure: photography. In fact, he is interested in the world ofphotography only after Morandi’s death in 1964, starting to portray compositions of objects inspired by the still life of the Bolognese master, of which at Casa Morandi we can admire 14 copies made in the sixties. Bonfini finds its definitive poetic expression in the register of photographic story, technique with which a story is told through a short sequence of photos tells a story, and in which it associates aesthetics and content by tracing a new path of artistic photography. The exhibition set up at Casa Morandi bears witness to his intense photographic production contextualizing it through the exhibition of catalogs and documentary materials such as portraits, biographical notes and interviews. The exhibition, curated by Luca Villa, recomposes for the first time a large part of the collections that belonged to the Museo Indiano of Bologna, now divided and preserved in three different locations: the same Medieval Civic Museum, the Museum of Palazzo Poggi in Bologna and the Museum of Anthropology of the University of Padua. The exhibition allows you to rediscover a significant heritage of objects and photographs that illustrate archeology and Asian Buddhist art at the time when the Indian Museum, also known as the Museum of Indology and Museum of Indian East Ethnography, remained open since 1907 to 1935. The Indian Museum, housed in the Palazzo dell’Archiginnasio in the rooms now used by the Library, was originally designed to house the conspicuous collection of objects, photographs and manuscripts acquired by Francesco Lorenzo Pullè (1850-1934), professor of Indo-European Philology and Sanskrit from the 1899 at the Royal University of Bologna, during a trip in 1902 in Vietnam, Ceylon, India and Pakistan on the occasion of his participation in the International Congress of Orientalists in Hanoi. The scholar had in mind to create a museum that would represent not only the geographical area to which he devoted his research for many years, but the entire Asian continent. However, his goal could only be achieved when the Municipality and the University of Bologna, entities that had participated in the creation of the Indian Museum, undertook to increase the original collection with purchases and temporary loans. At the time of the opening, in the rooms reserved for the museum the public could observe photographs and objects collected during the stages of the Pullè voyage through British India, purchased for the purpose of illustrating the peculiar aspects of religion and the artistic and craft tradition of the subcontinent Indian, as they had manifested themselves during the previous centuries and for how they appeared in the present. The exhibit, of which we have traced thanks to the museum plan, kept in the Municipal Historical Archive of Bologna, included many representations of divinities of the Hindu pantheon and, compared to the museums of the time, was distinguished by the presence of a vast collection of images that immortalized the Templar architecture of India, Hindu, Buddhist and Islamic. The story of the Indian Museum ended definitively in 1935 and two years later the act was drawn up with which the collections were divided between the City and the University, which still remain custodians, and the Pullè family. The latter a few years later yielded at least a part of the collection received by the professor’s son, Giorgio, at the University of Padua, where Pullè had taught for a long time before moving to the Alma Mater. On the occasion of the Giornata del Contemporaneo, promoted by AMACI, the Museo Civico Medievale di Bologna presents “It is here” Social pattern design on seating “, a research project dedicated to living, realized by the students of the Decoration Course for Architecture of the Bologna Academy of Fine Arts. Starting from the story of words, images and sounds of the boys of the social cooperatives La Fraternità e Arca di Noè, the students realized the textile patterns, printed on fine series fabric at the company Dino Zoli Textile, for Jointly, an original collection of chairs . The archive of the signs and the oral heritage collected during the meetings, have been graphically re-elaborated by the students in the 29 textile prints from the new narrations. “IS HERE”, the phrase printed on one of the sessions on show, symbolically presents the relationship fruit of the mixture of different identities, made of desires, emotions and memories that have inspired the path of work. And it is starting from here that the students Bingjie An, Xi Chen, Hanssen Diaz, Arianna Fiorentino, Xue, Jiang Samira Khajavi, Ghazaleh Kohandel, Debora Lake, Weiguo Lai, Ruobi Li, Baoyi Liu, Ruiqi Ma, Elora Ndini, Ailar Noori, Sara Ruggeri, Yuxiang Wang, Ning Yu, Luo Zhang, Liyuan Zheng, Yianxi Zhou have developed their experimentation, made of that initial encounter experience combined with personal research languages. Promoted by the Academy of Fine Arts and the Civic Museums of Ancient Art, the project, sponsored by the Dino Zoli Foundation of Forlì, is supported by Dino Zoli Textile of Forlì and the Progetto Recooper in collaboration with the social cooperatives La Fraternità e Arca di Noah of Bologna for the European Year of Cultural Heritage. The exhibition, curated by Vanna Romualdi with the coordination of Laura Giovannardi, is part of the cultural project “Heritage, resources for public space, tools for contemporary artistic research” promoted by the Academy of Fine Arts in Bologna. The exhibition, realized in the context of the Franciscan Festival, presents a varied selection of the various liturgical cycles, made between the 13th and 15th centuries for the Bolognese Basilica of San Francesco, which are currently part of the rich collection of illuminated codices of the Medieval Civic Museum from Bologna. Among these we note the series of precious Franciscan grades richly illuminated by the so-called Master of the Bible of Gerona, the absolute protagonist of the Bolognese book decoration of the late thirteenth century. Next to this is also the slightly later series of antiphonaries, also widely decorated, partly inspired by the oldest experiences of Giotto assisiate, evidently filtered into the city through the same order of the minor friars. These first choral series followed others during the fifteenth century, when the friars minor entrusted themselves to various miners coordinated by the Bolognese Giovanni di Antonio, to decorate around 1440-50 some of their liturgical books, also presented during the exhibition. The exhibition, organized as part of BilBOlbul in collaboration with Fondazione Nuovi Mecenati, is dedicated to Amandine Meyer, illustrator and French cartoonist. Entering the exhibition of Amandine Meyer means stepping into her lustful and pop garden, inhabited by disturbing and colorful little girls, faceless children, carnivorous plants and awkward little animals. And once inside, being entangled in the seductive universe of Meyer is a moment: pastel colors, elegant decorations, a bit ‘kitschy aesthetics of his characters invite you to look with children’s eyes, to stop asking questions, let go and play. In fact, between dice, pawns and boxes to jump, the show itself becomes a game. Amandine Meyer is an artist still unknown in Italy; his works – whether made of paper, glass, ceramics or one of the many materials he uses to create – are a pleasure for the eyes and a provocation for the mind. A year after its reopening to the public after the restoration work financed by the Emilia-Romagna Region and the Municipality of Bologna, the Pavilion de l’Esprit Nouveau hosts the exhibition “PHOENIX: The Pavilion of the Esprit Nouveau between reconstruction and restoration” curated by Maria Beatrice Bettazzi, Jacopo Gresleri and Paolo Lipparini with the high consultancy of Giuliano Gresleri. The exhibition, designed by architect Jacopo Gresleri, offers the viewer the opportunity to retrace the history of building the building, a replica – faithful in every detail – of the prototype housing unit that architect Le Corbusier had proposed to Paris in 1925 on the occasion of the Exposition des Arts Decoratifs and Industriels Modernes, then demolished at the end of the event. Inside the Pavilion are exposed the projects, drawings, images and testimonies that document the process of realization of what is the only work of the Swiss-French master present in Italy, from the ideation and study to the various stages of work. The drawings, coming from the Fund of the Historical Archives of the University of Bologna and from the private one of Professor Giuliano Gresleri, highlight the research process at the base of the reconstruction and the choice of all the details – fixtures, doors, floors and colors -, to which Le Corbusier dedicated particular attention, in a vision of chromatic and functional space in constant relationship between interior and exterior. On display are some materials from the Cassina Collection of the Historical Archive of Cassina in Meda, the models made by the students of Giuliano Gresleri’s Atelier at Syracuse University and the exceptional arrangement of historical volumes from the Gresleri Collection, dedicated in particular to the themes of low-cost accommodation, architectural colors and architecture education. Original films from 1977 are also visible, in which illustrious protagonists of the Italian architectural world talk about the specific features of the Pavilion, the first building in the history of architecture to introduce a large plant element within the building, and the importance of its reconstruction. The exhibition is promoted by the University of Bologna, Historical Archive – ASUB-SA with the support of the Urban Quality Service and Housing Policies – Directorate General for the Territory and Environment of the Emilia-Romagna Region and IBC – Institute for Artistic Heritage, cultural and natural resources of Emilia-Romagna. In collaboration with Bologna Museums Institution | MAMbo – Museum of Modern Art of Bologna and under the patronage of Fondation Le Corbusier, National Council of Architects, Planners and Landscape Architects and Conservators and Order of Architects of Bologna. Opening hours: Saturday and Sunday 15-17.
it is possible to take part in a guided tour organized by the MAMbo Educational Department (by reservation, phone 051 6496611). The Civic Museums of Ancient Art are continuing their efforts to promote the Municipal Art Collections in conjunction with the restoration work on the Palazzo d’Accursio roof, which will be completed in spring 2019, promoting a new exhibition that will revisits the extensive permanent heritage in the light of a new thematic criterion. After a first reorganization focused on the birth of modern taste between the 18th and 19th centuries, the new arrangement of the exhibition itinerary proposes a fundamental theme in the Western figurative culture, the representation of the divine and the human figure, investigating the iconographic evolution between the XIII and the eighteenth century. The exhibition, curated by Silvia Battistini and Massimo Medica, recomposes some of the museum’s most important historical-artistic works – including the rich collection of Primitive sculptures and medieval paintings; the precious tables of Francesco Francia, Amico Aspertini, Luca Signorelli and the paintings by Prospero Fontana, Ludovico Carracci, Michele Desubleo, Guido Cagnacci, Donato Creti, Gaetano Gandolfi, Pelagio Palagi – ordered according to two lines of reading that alternate in the exhibition rooms narrating on the one hand, the essence of the divine, on the other, life and daily feelings. Visitors can thus understand how even the most famous religious and secular representations have not remained the same over the centuries, but have accompanied the renewal of artistic language, reverberating the debate on the representation of the human body in changing the social climate and European religious. If the Middle Ages use the representation of the body to give an identity to the religious dimension in its different manifestations (Eternal Father, Christ, the Virgin, the saints), in the Renaissance the body represented in a naturalistic way becomes fundamental to give a face to holiness and facilitate the dissemination of Catholic doctrine. A hundred years after the end of the First World War, the exhibition presents the results of the project “The Great War in Bologna between History and Memory” aimed at the implementation of the portal www.storiaememoriadibologna.it to create and make accessible, in a unified form, a collective memory, city and national events related to the first world war, with particular reference to the memory of the fallen Bolognese. The initiative, curated by Mirtide Gavelli and Roberto Martorelli, intends to act as a moment of knowledge and promotion of the work of digitizing documentary and memorial sources of different nature carried out between 2015 and 2018, through the exposure to the public of some of the most important documents belonging to a heritage that is still little known and in some cases completely unpublished. On the walls of the exhibition hall a selection of recently restored national loan propaganda posters recall what our ancestors could see on the walls of Bologna and other Italian and European cities: a massive, multifaceted, capillary propaganda, because every citizen without distinction of age and social condition, it felt “internal front” and behaved as such, contributing, according to its possibilities, to the final victory. In the windows there are documents and original relics related to the city of Bologna, normally not visible to the public, that the implementation of the portal has allowed to know and contextualize, reproducing the images and telling the story. These include documents and photographs from public and private archives, including those donated by the families of Nazario Sauro and other heroes of the war; memories of the “Pantheon of the famous Fallen” created inside the Laura Bassi school during the years of the conflict; documents of the Office for news to the families of the military, the great first Bolognese experience then national women’s voluntary service; the numerous portraits of the fallen during the works. Through a QR code, with a smartphone you can also access all the news and insights contained in the portal: the room has in fact free wireless access and the portal itself is viewable from all devices. The strongly educational and popular value of the project that is addressed not only to a young audience is evidenced by the presence of a totem in the exhibition that allows you to explore the virtual 3D reconstruction of the grandiose Lapidary of the Basilica of Santo Stefano, as presented in year of inauguration (1925): with the names of the 2,536 fallen of the city of Bologna recorded in the 64 tombstones placed inside the cloister. The Archaeological Civic Museum houses the works of the two greatest Masters of the “Floating World”: Katsushika Hokusai (1760-1849) and Utagawa Hiroshige (1797-1858). The exhibition exhibits, for the first time in Italy, an extraordinary selection of about 150 works from the Museum of Fine Arts in Boston. The project, divided into 6 thematic sections, curated by Rossella Menegazzo with Sarah E. Thompson, is a MondoMostre Skira production with Ales SpA Arte Lavoro and Servizi in collaboration with the Museum of Fine Arts in Boston, promoted by the Municipality of Bologna | Bologna Museums Institution and sponsored by the Agency for Cultural Affairs of Japan, the Embassy of Japan in Italy and the University of Milan. The 1930s marked the pinnacle of ukiyoe production known as “images of the Floating World”. At that time the most important silicon series were made by the masters who confirmed – a few decades later with the opening of the country – as the greatest names of Japanese art in the West. Hokusai immediately emerged from the outset, an artist and personality out of line who was able to represent the places and faces with force, drama and conciseness, as well as the character and beliefs of the society of his time. He is considered one of the finest representatives of the ukiyoe pictorial vein. In his paintings on roll, but above all through his polychrome silographies, the artist knew how to interpret the world in which he lived, with free and fast lines, a skilful use of color and in particular of the Prussian blue, recently imported in Japan, drawing inspiration from both traditional indigenous painting and western art techniques. Younger than about twenty years compared to Hokusai, Hiroshige became a famous name of ukiyoe painting shortly after the release of the master “Thirty-six views of Mount Fuji” thanks to a series, in the same horizontal format, which illustrated the great way that connected Edo (the ancient name of Tokyo) to Kyoto. These were the “Fifty-three post stations of the Tōkaidō”, known as “Hōeidō Tōkaidō” from the name of the publisher who launched the success of Hiroshige. Since then the artist worked repeatedly on this same subject, producing dozens of different series until the fifties. The quality of the landscape and views of Japan, the variety of seasonal and atmospheric elements – snows, rains, fog, moonlight – that Hiroshige was able to describe making them almost sensually perceived earned him the title of “master of rain and snow”. MAMbo dedicates to a very topical subject – the open-air schools – the exhibition “Back to the future, from outdoor schools to new educational experiences in nature”, curated by Mirella D’Ascenzo and Mino Petazzini. The outdoor schools, born for the care of children frail and frail, were in fact also a forge of innovative pedagogical and educational experiments, thanks to the daily contact with the natural environment and a new relationship between indoor and outdoor. Through original documents, photographs, objects and videos the exhibition traces some fundamental stages of the relationship between education and nature from the 1700s to today, focusing on outdoor schools since the early twentieth century – Bologna was then a significant and original stage – up to the most recent educational experiences in nature, of which Bologna is still a place of interesting experimentation. 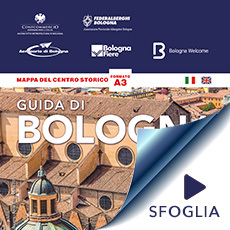 The initiative is promoted by the Bologna University Institution and Education, Education and New Generation Area of ​​the Municipality of Bologna in collaboration with the Fondazione Villa Ghigi and the University of Bologna. The exhibition also takes place within the ambit of a larger project entitled The backstage of the museum: to create and make an exhibition live, organized by MAMbo in collaboration with Oficina Impresa Sociale, which won the tender “Take part! e pensare creativo” ideato dalla Direzione Generale Arte e Architettura contemporanee e Periferie urbane (DGAAP) del Ministero per i Beni e le Attività Culturali, con la finalità di promuovere l’inclusione culturale dei giovani nelle aree caratterizzate da situazioni di marginalità economica e sociale. In the exhibition space of the Project Room, dedicated to the rediscovery of some of the most stimulating and innovative artistic episodes originated in artistic and bolognese field, the MAMbo presents “VHS +”. The exhibition project, born from an idea by Saul Saguatti (Basmati Film) and Lucio Apolito (Opificio Ciclope) with the curation of Silvia Grandi and realized in collaboration with the Department of Arts of the University of Bologna, is configured as a device of audio-visual pulsations that arise from the hybridization of different languages, formats and practices of video communication experimented in Italy between 1995 and 2000, telling the electronic dream of a season between analog and digital. The production of the period exerted from the individual self-direction to extend to a collective dimension, constituting independent media-cultural research groups that become real brands, such as Opificio Ciclope, Fluid Video Crew, Ogino Knauss, Otolab and Sun Wu Kung of which the exhibition documents the peculiar expressive approaches. In a world still without bulletin boards, chat rooms, social media and YouTube, these pioneering workshops have materially built projection screens in their respective residences – Link Project in Bologna, Forte Prenestino in Rome, CPA ExLonginotti in Florence, Garigliano and Pergola in Milan – developing creative forges tuned in with the most advanced contemporary experiments in Europe. “VHS +” finds an extension on-line at www.vhsplus.it , in which archival and in-depth material can be consulted. The exhibition avails itself of the technical sponsorship of Eurovideo that has granted the instrumental supplies for the preparation of the audio-video system. MAMbo opens the exhibition schedule of its main space – the Sala delle Ciminiere – under the artistic direction of Lorenzo Balbi, with “That’s IT! On the latest generation of artists in Italy and one meter eighty from the border”, an exhibition presenting the works of 56 artists and collectives born from 1980 onwards, exploring different media and languages. The exhibition, with a clearly generational cut, investigates the most recent developments in art in our country, consistently with a precise positioning on the Italian and international scene that MAMbo has chosen to identify, identifying for each of its exhibition spaces a clear scientific identity . In this context, the museum confirms and develops a vocation that has historically made it a point of reference and privileges, for the exhibitions in the Sala delle Ciminiere, research on new generations, experimental media and emerging names never presented in Italy. Particular attention is also paid to the production of new works, also with a view to increasing the permanent collection: many works on show will in fact be made for the occasion. “That’s IT!” (IT as the European Union code that identifies the initials of Italy) does not develop, intentionally, around a unitary and monolithic concept, but offers questions and possible readings of the contemporary in an open, dialectical and magmatic perspective. Does it still make sense to define an “Italian” artist today? What contributes to determining the definition of “Italianità”? Does this definition have consequences on the artist’s self-representation? Where and how do we put the geographical and generational border? In the exhibition you can find some possible clues. Artists born in Italy who work in Italy are included; born in Italy who work abroad; born in Italy who work both in Italy and abroad; born abroad who work in Italy; born abroad who work abroad but who have studied in Italy. The only limit that has been chosen to establish and maintain rigidly is that of the age registry, to give space and visibility to those who have appeared more recently on the art scene: none of the protagonists of the exhibition was born before 1980. The exhibition presents an overview of the Millennials generation, the first to experience a continuous adaptation to the frenetic evolution of technologies, constant hyper-interconnection and, on the social level, a growing precariousness of the world of work in a context of economic crisis. A generation that has abandoned the certainties and ideologies of the previous ones in order to adopt expressive modalities that stimulate them to question themselves on the present, to investigate the contemporaneity rather than to provide answers. “Io sono Mare” is the exhibition, created for Gender Bender, with original drawings and drawings dedicated to the homonymous comic book for children by Cristina Portolano for the Dino series Buzzati di Canicola. A fantastic and evocative journey of a little girl and her friend an anthropomorphic clown fish, an extraordinary adventure, lived between dream and reality, through which to reflect on the themes of identity and self-discovery, on desires and emotions. Cristina Portolano, illustrator and cartoonist, was born in Naples in 1986. She lives and works in Bologna. She is the author of “Quasi signorina2 (2016, Topipittori) and” I do not know who you are “(2017, Rizzoli Lizzard).Goodnight stories for rebel little girls “(2017, Mondadori). The promise to give the visitor unique and original suggestions of our territory – already enclosed in the title of the exhibition for images “The Emilian Romagnolo Channel in the eyes of Enrico Pasquali” – is largely maintained in the collage of emotions in black and white that the Consortium for the Emiliano Romagnolo Channel (CER) has conceived and organized with the collaboration of numerous partners to enhance not only one of the most important hydraulic works of the country, but to celebrate the industrious man’s activity. The exhibition gives to our present the relevance of the Channel for the agri-food economies of part of Emilia and much of Romagna. At the same time it makes us jump backwards, in a composite universe made of essentiality, raw, real, almost documentary, represented by the master of neorealism of Castel Guelfo, born in that slice of land washed by the Sillaro often referred to as the watershed of border between Emilia and Romagna, which began the “profession” of photographer in Medicine. The exhibition will show a significant selection of Enrico Pasquali’s works from the 50s-60s and a video with a rich series of oral testimonies and interviews with workers, technicians, designers and executives, protagonists of the start-up of the works of the Emiliano Romagnolo Canal , recently created by Sonia Lenzi, directed by Enza Negroni. The project “Sculpture and Business”, born in 2008 from an idea of ​​the sculptor Michele D’Aniello, includes today about 80 companies, national and international, which enthusiastically welcomed and joined the positive and innovative project of contemporary art. What the exhibition presents is the value of beauty and ingenuity, tenacity and courage; it is the history of values ​​and its motto is summarized in these few words: “The shape of Values, the Values ​​of Form”, which has always been the guiding thread of Sculpture and Business and of all the art of D’Aniello. “Sculpture and Business” takes place under the patronage of the Emilia-Romagna Region, the Municipality of Bologna, the Municipality of Pianoro and Unindustria Bologna. The Bologna Museums Institution recounts, through its collections, the entire history of the metropolitan area of ​​Bologna, from the earliest prehistoric settlements to the artistic, economic, scientific and productive dynamics of contemporary society. A single widespread route across the territory, divided into thematic areas. Archeology, history, art history, music, industrial heritage and technical culture are the major themes that can be tackled, even through transversal paths to various locations. The Bologna Museums Institution: MAMbo – Museum of Modern Art of Bologna, Morandi Museum, Casa Morandi, Villa delle Rose, Museum for the Memory of Ustica, Civic Archaeological Museum, Medieval Civic Museum, Municipal Art Collections, Museum Civic of Industrial Art and Davia Bargellini Gallery, Museum of Industrial Heritage, Museum and Library of the Risorgimento, International Museum and Library of Music of Bologna, Museum of Textile and of the “Vittorio Zironi” Upholstery. The Card Musei Metropolitani of Bologna is the service activated on the occasion of the IX centenary of the City of Bologna to widen accessibility to the city’s historical and artistic heritage: a subscription that offers unlimited access to permanent collections and admission at reduced prices to temporary exhibitions of many museums of the city and the metropolitan area. Valid for 12 months and costs 25 euros: all information is available on the cardmuseibologna.it website.